At Essential Office Solutions, we understand that our employees are our most important assets and we hold regular team meetings and brainstorming sessions to keep the team updated and engaged. We all attend regular professional development to ensure we are conversant with compliance requirements and recent accounting software releases so we can help our clients make their working lives a little easier. Danny is qualified bookkeeper and payroll specialist. He is a member of the Institute of Certified Bookkeepers who has been in the industry for over 10 years, servicing clients from industries as diverse as sandwich artists to construction. 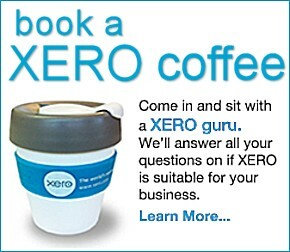 Danny is a certified Xero and Workflow Max consultant and advisor. He likes to work with his clients to provide them with tailor-made solutions to their payroll and bookkeeping needs. Danny is committed to bringing to our clients new and innovative technologies to streamline their business and to take their focus from one of “working in their business” to “working on their business”. Danny is sports fan who enjoys spending his downtime giving back to the community by coaching representative and domestic basketball teams . Robyn is a Degree qualified Accountant and Registered Tax Agent with over 30 years experience in corporate, public and small to medium tax accounting. Robyn has a passion for helping business both large and small meet their obligations with a minimum of fuss and a no-nonsense, easy to understand approach. 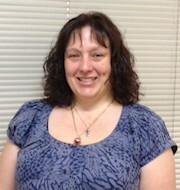 In particular she loves to help trades-people take the headache out of bookkeeping and tax compliance. As a fellow of the National Tax Agents Association and certified Xero and Workflow Max consultant and advisor she endeavours to bring to her clients new and innovative technologies to streamline their businesses. Robyn is a passionate music fan of all genres and has been a member of many community based committees over her working life. Shirley has worked as a bookkeeper since 2002. Her previous positions include roles at ANZ, Mainline Heating & Cooling and Brighton Corporate Offices, and she held the position of Finance Assistant at Charter Mason for five years immediately prior to starting at Essential Office Solutions. Outside of work, Shirley is involved in many of her local community groups. She loves watching local basketball games, taking time out with her family and spending time enjoying the wonderful Bayside beaches.Shirley brings to our office experience in training and technologies including MYOB, QuickBooks and NetSuite and is excited about the efficiencies that cloud-based accounting provide. Since starting at Essential Office Solutions, she has embraced the Xero system and is looking forward to expanding the system within our client base. Prior to commencing work at Essential Office Solutions in April 2011, Lorraine worked as an Accounts Assistant at Lend Lease Primelife. She has also worked at Gray’s Auctions and the Commonwealth Bank. A fan of life-long learning, Lorraine’s qualifications include MYOB Level 1, a Certificate III in Business Administration and a Certificate IV in Bookkeeping. 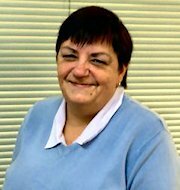 Lorraine does bookkeeping and enjoys a variety of work which includes being our WorkflowMax champion. Her loyalty and enthusiasm makes her a valuable and essential part of this team. In her spare time Lorraine is involved in amateur theatre, where she demonstrates her unique ability to take on any role – wardrobe, stage manager, front of house, and lighting and sound operator – and run with it. She is also Treasurer of the Encore Theatre Company. 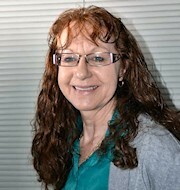 Nicola has been working as a bookkeeper since leaving school in 1988. She has a Certificate III in Financial Services from Chisholm Institute. Nicola is extremely passionate about her chosen profession. She always strives to provide professional service that meets her clients’ individual requirements and gains a great deal of satisfaction from knowing she’s helping business owners to achieve their goals. At Essential Office Solutions, Nicola is responsible for a number of clients’ books (including their BAS preparation), working both on and offsite. She also manages our Xero setups and conversions and is our Vend champion. After hours Nicola enjoys spending time with her daughter and looking after their two cats. She indulges her creative side by undertaking various art and craft projects, including mosaics, glass painting and decorative painting. She also likes listening to a wide variety of music.